oomph. : [oomph] makes. 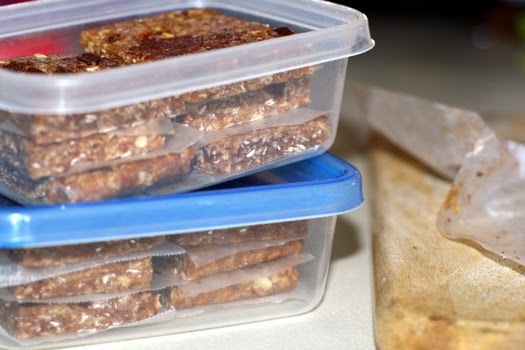 DIY protein bars. i was originally going to post this in my marathon chronicles series since the reason i'm making them is to increase my protein intake during my training, but you don't have to be training for a marathon to make or enjoy these. 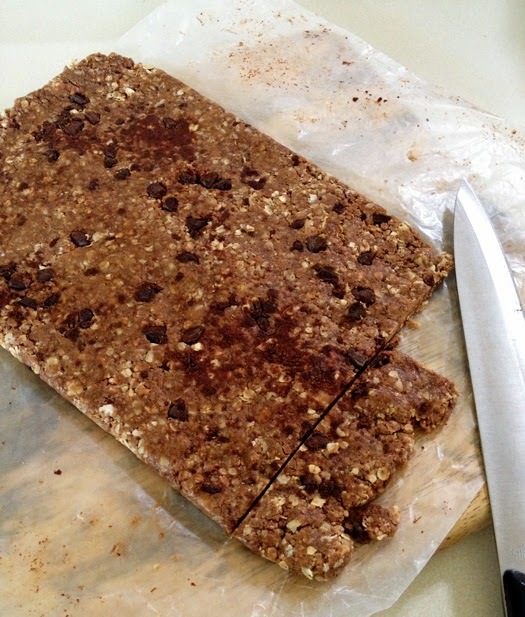 i like simple, and it doesn't get any easier than these 4-ingredient, no-bake protein bars. plus, you'll save money making your own and have peace of mind knowing exactly what went into them. i'm not against store-bought protein bars when in a pinch, but many of them are high in calories and loaded with sugar. i used whatever i had on hand - regular quick oats, chocolate protein powder, jif peanut butter, and almond milk. i added (chopped up) chocolate chips for extra yumminess. line pan with waxed paper and press mixture flat. cut and store in refrigerator. do you have a favorite protein bar? *i searched through tons of websites and recipes and cannot remember the exact site where this recipe came from. Those look good! Fresh beats what's in the store. I'm actually obsessed with Cliff Bars - specifically the coconut choc chip. Not sure if those count as protein or energy but man they're good!! Mmm healthy and tasty! Thanks for sharing! uh YUM! Those actually look delish! These look great! 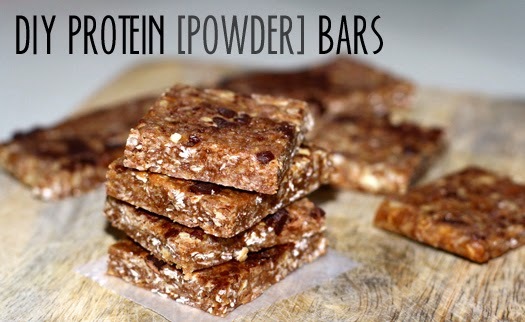 I love that you put protein powder in these, these would make great after school snacks!